A rug roundup and blogging update! Happy Monday! 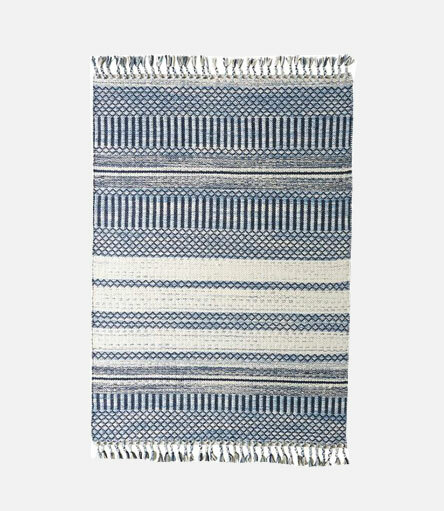 I've been doing lots of 'rug research' lately for several projects that I'm working on so I thought I would share some of my favs here on the blog! But first, a quick update! I'm really trying to update this blog naturally with all the things I'm working on and creating in my day to day - but I'm still new at this, so its an adjustment for me. I know I'm waayy late to the blogging game, but I'm giving it a go so please keep checking back as I make improvements and additions along the way! My goal now is blog once a week, so fingers crossed I can achieve that! And thank you for reading! Now, on to rugs! 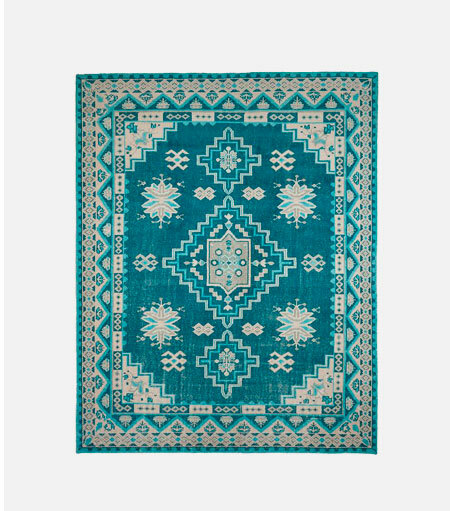 I feel like I've been spending hours upon hours looking at beautiful rugs online. Mostly, they are for clients, but one or two inevitably ends up in my cart or home wish list. What can I say...rugs are kinda my jam! I will say from looking at all my pins that I am completely on #teamblue (for pretty much everything) and #teamblack&white. Also, I can't get enough of geometric patterns and the beauty of a vintage or vintage-inspired Persian in just that right shade of blue and rust! 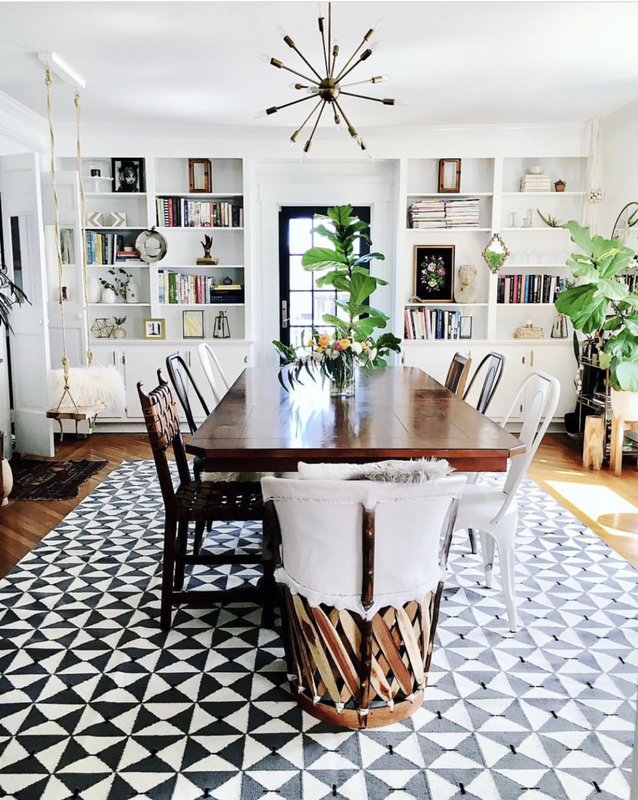 In my family room, I use this black and white rug from West Elm to balance the neutral colors and natural textures of my camel-colored leather sofa and that mid-century modern chair. Throw in a few pastel pillows to soften the room and you've got a cozy space that is both visually stimulating and welcoming. Sadly, this rug is no longer available. However, below you'll find some beautiful pieces that will surely get you thinking about how to incorporate geometry into your everyday living. That Serena & Lily rug is one of my favorites. And I think it would do well to hide some of life's messiness with its heavy texture and dark hues. Pretty much everything McGee & Co. does is spot on! That rug is perfection! I love the warmth and homeyness that a traditional hand-knotted wool rug adds! 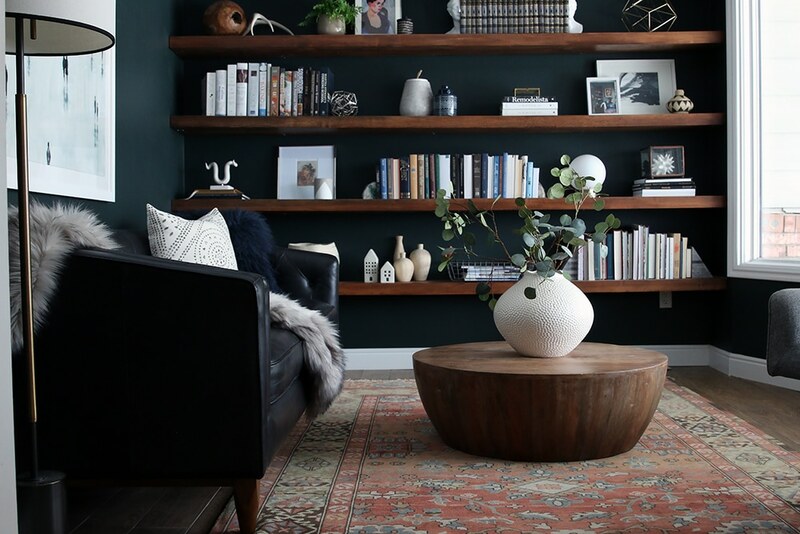 That rust colored rug from Chris Love's Julia's office is so lovely as is this one with all those amazing colors! I've rounded up some of my favorites here for you guys to shop if you are in the market! There is a good mix of high/low prices in styles I love.